Have you ever noticed that as the days get shorter, and the hours of sunlight lessen, your mood shifts? When it’s bright and sunny everyone tends to be in a cheerful mood, but when fall turns into winter and Daylight Savings Time hits, you tend to get into a funk or even a depression. You may be suffering from a condition known as Seasonal Affective Disorder or SAD. Surprisingly SAD affects 10 to 20 percent of Americans, primarily young adults and women. 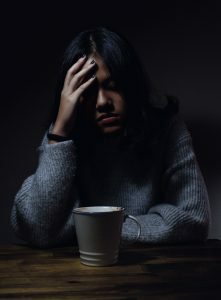 The actual cause is unknown, but many believe that the reduced levels of light affect your body’s internal clock and a drop in the levels of melatonin and serotonin can trigger mood changes. What are some symptoms of SAD? If any of this sounds like what you are experiencing, be aware that there are treatments! This does not have to be as debilitating as it sounds. Some sufferers who find these problems becoming a daily issue benefit from working with a therapist. This is a way to have some assistance in dealing with the issues related to the seasonal changes. You can speak with someone who can give you advice on handling SAD, so it doesn’t become debilitating. Prescribed medication is another treatment for SAD. Depending on what you use, it can help limit the depression, and adjust the levels of melatonin and serotonin back to normal levels. Phytotherapy, therapeutic light therapy, is considered one of the most common treatments for this condition. Since the light mimic’s sunlight, it causes a chemical change in your brain that lifts your mood. Sitt ing under the light therapy box for a prescribed number of minutes within the first hour of waking up in the morning can help. Using this, along with visiting a therapist and/or medication can cause improvements in your outlook over the course of the darker season. Good health, nutrition, supplements, exercise and relaxation can also help to lift your mood and help limit the negative reactions. Getting enough consistent sleep, and waking up at the same time 7 days a week, will keep your internal clock in proper sync. Controlling your cravings for carbohydrates by eating a balanced diet and limiting the carbs can help as well. Carbs, while good, only provide a short term energy boost, but will quickly cause lethargy, which can make things worse rather than better. Protein is the best source for continued energy. Create or maintain a consistent exercise routine. Regular exercise is not only good for general physical health but is also good for stress and anxiety reduction. Relaxing exercise such as Pilates or Yoga is extremely good for this. Learning to manage your stress can go a long way to helping reduce the effects of SAD. By taking time to relax and manage your stress each day, you can prevent depression and overeating. Make a point to not pull away and stay conn ected with your friends and family as they will help you remain calm and happy. Will following the above advice prevent SAD completely? Probably not, especially if it is something you are prone to. However, following the above advice can certainly help limit the effects and allow you to live your best life, even in the fall and winter when natural sunlight is at a minimum. Most of us don’t even realize how fewer hours of sunlight, and more of darkness, can affect our body, mind and spirit. 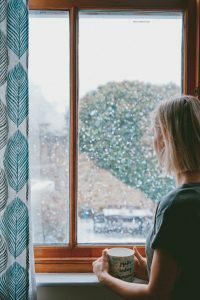 Everything is connected, so coming up with ways to minimize the effects, and personalize them to you, can help you get through the longer winter months. In addition, planning what you will do once spring comes around will give you something to look forward to once the days start getting longer again!